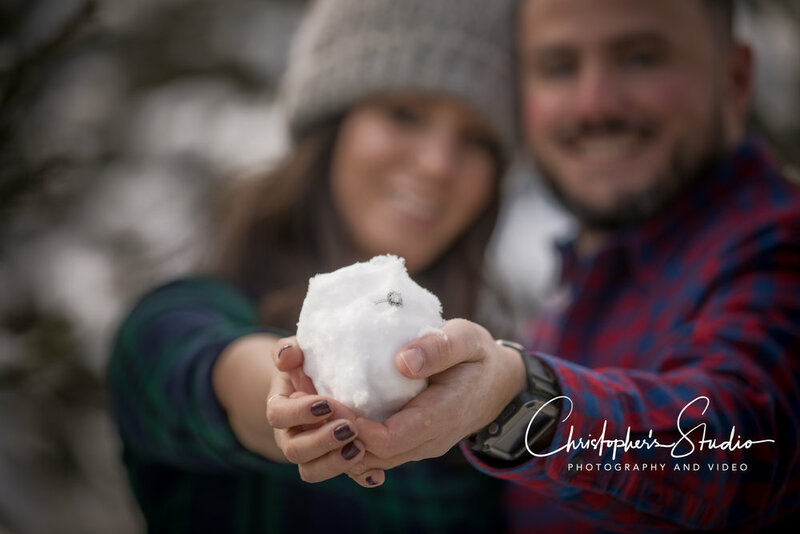 Winter Engagement Sessions are so much fun. A great way to make a save the date card and include some sledding as well. There are many tree farms in the NY Hudson Valley and we can find one that is great for your session. Let's chat about your ideas and ways we can make it unique. Love this shot with the ring in the snowball.